It’s almost the holiday season yet again, and to many singers and songwriters like myself, that means Christmas albums are popping up everywhere. I recently released my own album of Christmas music, A Hollens Family Christmas, so I’ve been thinking a lot lately about how to cut through the noise and continue successfully building my community of listeners and fans, despite running up against endless competition online. The story of how I got started releasing music online goes back to three months before I started my YouTube channel, when I was a contestant on NBC’s The Sing Off. I had three or four solos on national television, and it didn’t really do anything to help my career as a solo artist in terms of my online reach. But that experience gave me the impetus to turn the mic on myself and start recording my voice and other people’s voices more often, and to do it my way. At this same time, my dying father encouraged me to follow my dreams of creating my own music. And since I had taught myself how to record and engineer audio, I also began to teach myself video editing. I saw YouTube as one of the best vehicles to put music out there in front of a new audience. I also saw that a lot of YouTube artists had become successful in this way, and I thought, pretty bluntly, that I could compete with them! From there it was first about imitation — copying the best I saw and heard, making sure that whatever I made was as good or better — and secondly about developing my own brand. + Learn more on Soundfly: On the road to Broadway? Enhancing your grasp of music theory can help you get there! Use code: FLYPAPERSENTME for 20% off our brand new course, Learning New Music for Singing Actors. What I mean when I say “flip the switch,” is to focus on achieving sustainable growth through relationship building, rather than just making a sale. And a lot of that happens in the “free” space — on social media and free content platforms. The biggest thing you, as a musician releasing music online, should care about is brand awareness. Period. If you’ve built a solid brand, you can release your content anywhere, everywhere, on any platform. If you’re starting now and you aren’t releasing content across all platforms (YouTube, Facebook, Instagram, Twitter), and repurposing that content across each and every one, then you are doing yourself a massive disservice. If every single song you release doesn’t have some kind of accompanying video, that is a missed opportunity. In the online world, time is much more valuable than money. If an audience is giving you their time, you can share your creations more broadly. If you’re succeeding in creating something of value and your community is engaging with your work, you can begin courting each and every viewer to become a “fan.” What’s more valuable — someone purchasing your song for $0.99 once, or that same person engaging with 10 different songs of yours over and over again? It’s not about trying to siphon revenue from a fan; it’s about creating a relationship, which can last much longer. Later when that community is in place, the pathway to monetization becomes easier and more consistent. It becomes imperative to provide value to your fan community in other ways, to sustain a relationship that feels more like a collaboration between fan and creator. You must assure your community that they can always depend on you. Go above and beyond! When people living in my local area bought my last album, I drove to their houses to deliver it myself as a surprise, instead of simply mailing it out like Amazon would. You can see some of that footage in the below video. 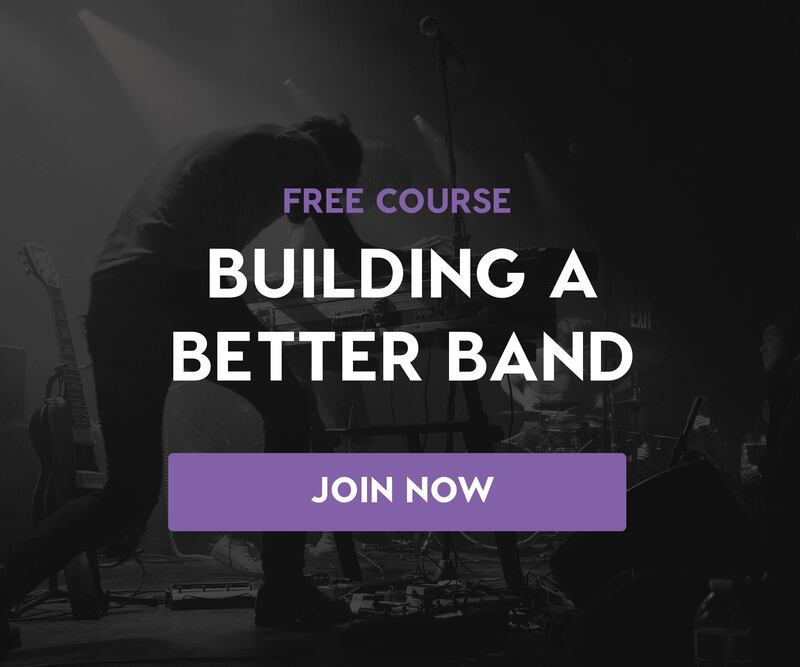 + Learn more on Soundfly: Find out how to find and connect with your superfans through a crowdfunding project in our new Mainstage course Crowdfunding for Musicians, taught by direct-to-fan guru, Jay Coyle! I just released my new album of Christmas songs, and this is the first time I’ve tried to do a real full album that I truly care about. That needs to be said. I have put my heart and soul and time and energy and blood and sweat and tears into it to get it done. I was not going to let this album just slip under people’s radar. Instead, I recorded 13 new music videos for the 11 songs appearing on the album and I’ve been releasing them weekly for a few weeks now, leading up to Christmas. Talk about going above and beyond! But I did learn some things along the way that I’d like to share. First, I discovered that people don’t really want to listen to Christmas music before Thanksgiving! That makes sense, but I panicked when I saw that Pentatonix was releasing their Christmas music over a month beforehand, so I started ahead of schedule — thinking I was already perhaps too late! Then again, I personally listen to Christmas music all year long so I guess there was no harm in making it available. Second, consistent content is key. When you share an idea with your audience, it is really important to meet their expectations. They should be able to count on you to release a new video every Friday (or on whatever schedule you promise them). That builds anticipation, and enhances your trustworthiness. And third, in order to build expectations and anticipation, you should be engaging relentlessly with your social media platforms. Keep hyping, hinting, surprising, and providing value above and beyond the user’s “cost” of hitting subscribe to your channel. Not to mention, it always helps to crowdsource the material that you’ll be releasing. What do the fans actually want to hear? Don’t know? Ask them! Work with your supporters. The more they know you’re listening to them, the more they care! I’ve received countless messages from people telling me that my personal touch and responsiveness is what swayed them to subscribe or purchase my music. And truthfully, I know it sounds cheesy, but making people happy will make you much happier as an artist, as well! It’s not always about you, although you do need to make sure your voice shines through in everything you do. At least that’s the way I look at it. I create music for others to enjoy and emotionally respond to. Listen to your supporters, write down what they like and what they ask for, and deliver that to them. It doesn’t need to be now, but someday. Fans are tremendously grateful and flattered when you create what they request. Let’s talk about Patreon. Patreon, to me, is so much more than mere donations or subscriptions. It’s really a platform that allows my core audience to join the journey of my art. I can’t even fully describe the importance of what it’s doing for music right now. Patreon is the platform that finally “gets” the creative revolution we’re in right now, and supports it in a sustainable way. It could be the future infrastructure for creators to make a living. My process has changed dramatically since I began receiving support from my community via Patreon. My number of patrons is more valuable than any other social metric that I have. And one patron is more valuable than 100 emails on a mailing list, more valuable than 10,000 views on a video. There’s an unlimited amount of value in one person loving what you do. You are making your music for a reason, so what is that reason for you? Peter Hollens’ Christmas album, A Hollens Family Christmas, is available now on your platform of choice! Peter Hollens has been involved with music throughout the Northwest and beyond performing in such venues as Carnegie Hall, Lincoln Center and the Beacon Theatre in NYC. He graduated from the University of Oregon with a Bachelor of Music in Vocal performance, where he co-founded the U of O’s award-winning male a cappella group On the Rocks. Most recently Peter was featured on the new hit series NBC’s The Sing Off leading On the Rocks as one of America’s premiere a cappella groups. Peter has a recording/production studio at home in Eugene and recently recorded for Sony and Epic Records. Follow his YouTube channel and his Twitter for all the news!